Building an open source business is hard. There are so many variables. First you have to solve a problem for software developers that's worth adopting. Then you have to create a good enough product around that open source worth paying for. You have to care about the open source community, the maintainers, and the contributors to your project. Then, if all that succeeds, you have to survive long enough to build a company around everything to sustain and grow. The good news? It's been done before. 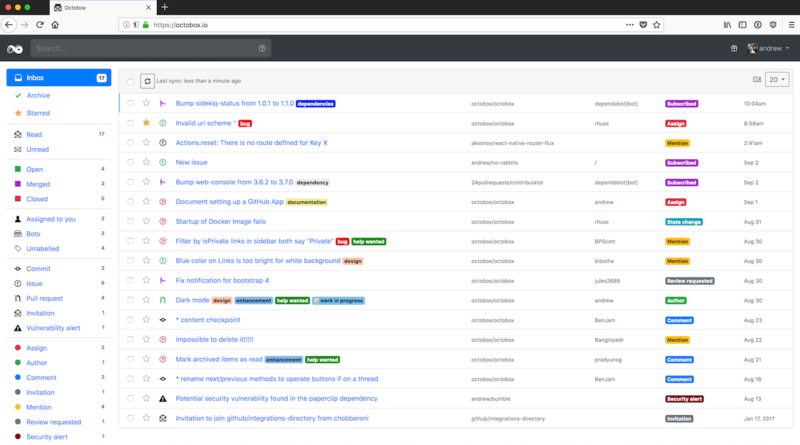 Octobox started as a side project in December 2016 and has since grown to help over 10,000 developers manage more than 4 million GitHub notifications and has been downloaded almost half a million times by those hosting their own versions. Octobox is now one of the most popular open source tools on GitHub, according to this post from co-founder Andrew Nesbitt. @octoboxio is probably the best way to manage notifications right now, for me. Highly recommend if you’re across many projects. By all accounts, Octobox is a success. It’s a thriving open source project that’s being adopted by the software community using GitHub. It has a growing community of maintainers and contributors. Organizations like Shopify run company-wide instances for their own use. Octobox is also run as a SaaS that hosts more than 11k users. But there’s one tiny little problem…Octobox is not sustainable (yet). For the past 6 months Andrew and Benjamin have been able to work on Octobox while being paid by their previous employer under a “gardening leave” agreement. That agreement has since expired. Now they need to make the necessary moves to sustain the project and themselves. Last November Andrew and Benjamin expanded the scope of Octobox and launched paid enhancements for private repositories on the GitHub Marketplace. 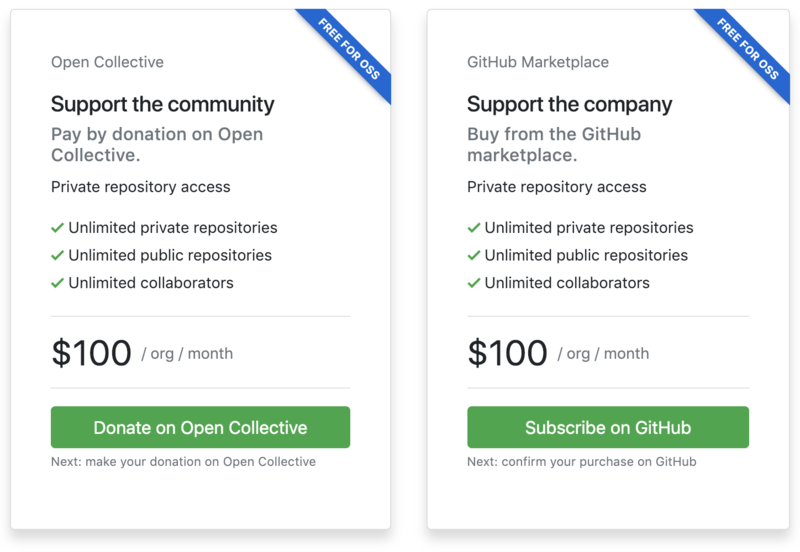 For the same price, their existing user base was given the option to get the same enhancements offered on the GitHub Marketplace by donating or becoming a sponsor on Open Collective. However, in this case, the financial support went directly to the community. Based on this announcement, starting on Monday (2019-01-28) if you want to see notifications for private repositories on Octobox, you’re going to have to pay to use that feature. Users will be asked to pay $10/month for each user or $100/month for each organization. I can see why Benjamin describes this choice as “walking the tightrope,” but honestly, I see this as a sign of project maturity and commitment on their part. To make Octobox sustainable, they have to deliver features worth paying for. A line in the sand had to be drawn in the name of sustainability. I think this is an excellent first step and a wise move. What’s interesting is they kept the option to support the community and now have two distinct ways to pay — support the community, or support the company. Our first priority is to begin building a sustainable income, for ourselves and our community. Our second is to demonstrate that our approach is repeatable and scalable, proving that we can solve this problem together. Our pricing model is our first experiment. If you’re an Octobox user reading this, I’d like to hear your perspective on this move. Comment below to share your thoughts. Jerod was joined by Andrew and Benjamin on The Changelog #327 in December to discuss how Octobox came to be, why open source maintainers love it, the experiments they’re doing with pricing and business models, and how Octobox can continue to thrive despite GitHub’s renewed interest in improving notifications. Listen below and discuss this episode.